With the digital measuring instruments and display units from Jenoptik, you can perform high-precision, dimensional measurements under the hardest manufacturing conditions. The digital measuring instruments and measuring computers from Jenoptik provide invaluable assistance with demanding measurements in tough production environments. 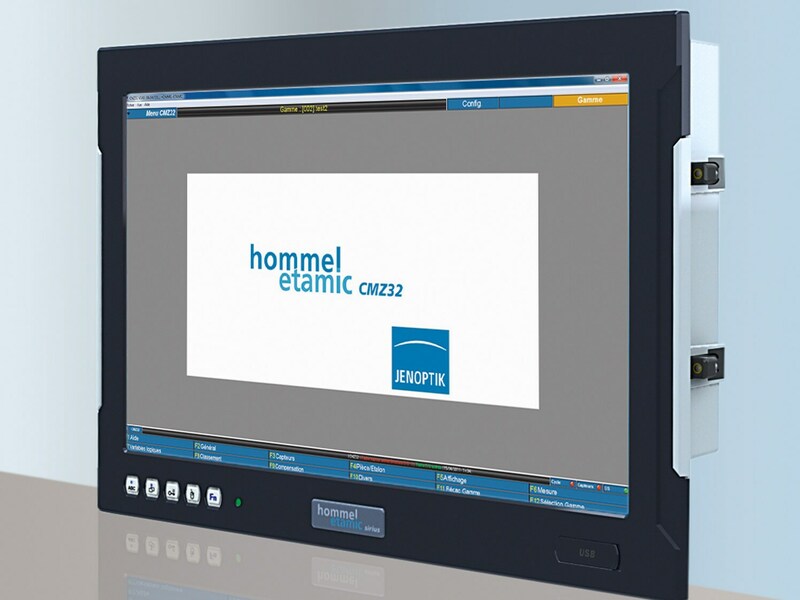 Be it a small, compact measuring and display unit or a large industrial PC with widescreen touchscreen – here you can find the perfect device for your individual dimensional measurement task during or after production. The devices are extremely robust and resistant to dirt, water and vibrations. The industrial PCs even feature passive cooling, meaning that no ventilation slits are required. You can use the measuring computers as free-standing devices or you can integrate them in complex gauge fixtures. Some of the devices are equipped with a rugged industrial touchscreen, while others feature an integrated keyboard. This enables simple and intuitive operation. Based on their extensive experience in the field of dimensional metrology, our experts have developed software that is specifically tailored to the individual computers. The inspection programs are freely configurable, thus allowing you to define all your own measurement-specific and machine-relevant parameters.